If the project of medical science may be described as the exploration of the human body, then surely its final, vastest, most mysterious frontier is the brain. In the last few years, several phenomenal advances in neuroscience have radically altered the way we understand our minds and promise to lead us towards potential treatments for diseases affecting the brain, such as Alzheimer’s and ALS. Researchers from the University of Leicester’s Centre for Systems Neuroscience led by Rodrigo Quian Quiroga made headlines in 2008 when they ascertained that individual cells in the brain are dedicated to coding specific pieces of information. By measuring with electrodes the activity of about one hundred of each subject’s neurons in response to stimuli, the team were able to identify different cells that fired when the patients were shown photographs of particular celebrities and landmarks. One woman possessed a cell that reacted to images of Jennifer Aniston, another a cell that fired for Bill Clinton, and another appeared dedicated to the Sydney Opera House. The team’s findings effectively rewrote the current theories on how the brain processes images and stores memories, and there is hope that the research could be implemented in the emerging field of neurally-controlled prostheses. For all that has been discovered, however, there is still an enormous amount about the function of the brain that remains opaque to us. The more complex workings of our memories, intelligence, emotion – the why and how of all these are questions science is still endeavouring to answer, as it has been since the very beginning. Fairly fundamental to the study of the brain is the ability to observe it in action, something that was difficult to do prior to the advent of EEG. Functioning brains were frustratingly inaccessible, enclosed behind the walls of the skull, which presented a substantial obstacle to the nineteenth century’s pioneers of neuroscience. One of the first breaks in the case came in 1895, when a thirteen-year-old woodcutter’s assistant from Bramans in Savoy, Emanuele Favre, was severely wounded by the glancing blow of an axe. The accident cleaved the bones of his skull across more than three inches, nearly splitting his head in two. Miraculously, he survived. When the wound healed, however, the bone did not fully cover the exposed brain, leaving it covered only by a layer of skin. It was in this condition that Emanuele came to the attention of the Italian professor Mariano Patrizi, a young and ambitious physiologist in Turin interested in the effects of music upon the human body and brain and in particular upon the cerebral circulation of blood. 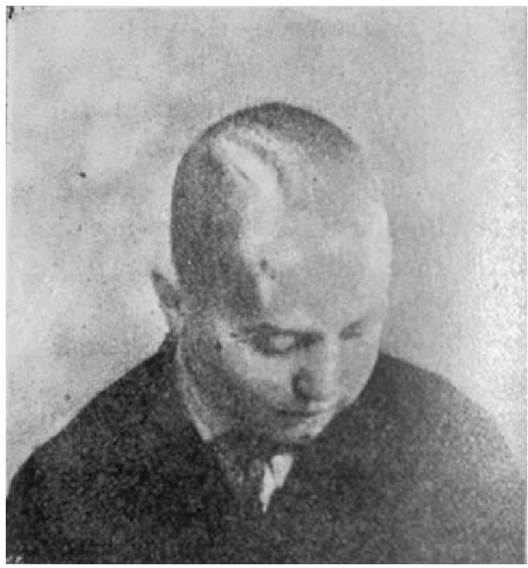 Emanuele’s extraordinary condition made him an ideal subject for Patrizi’s experiments. In order to determine the progress of the circulation of blood in the brain and to register the cerebral pulsations, Patrizi connected Emanuele to a device known as a plethysmograph and then played different kinds of music to him. 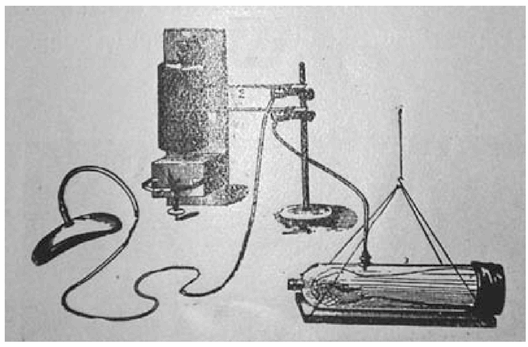 From the resulting tables produced by this apparatus, Patrizi concluded that every melody accelerated the flow of blood through the brain, and that different intonations and rhythms elevated the cerebral pulse. Music, Patrizi claimed, had visible, tangible effects upon the brain and upon bodily functions. Time presses on and we learn, adapt, and progress, but some things do not change as much as we might think. Though Patrizi and Quian Quiroga, of course, had vastly different technologies at their disposals, not to mention educations and medical understandings that would have been mutually unrecognisable, it is interesting to note the similarity of their methodologies. There is, it would seem, little else we can do when confronted with the inscrutable three-pound lump of grey matter we all carry within our heads except put things in front of it and see as best we can what it does.